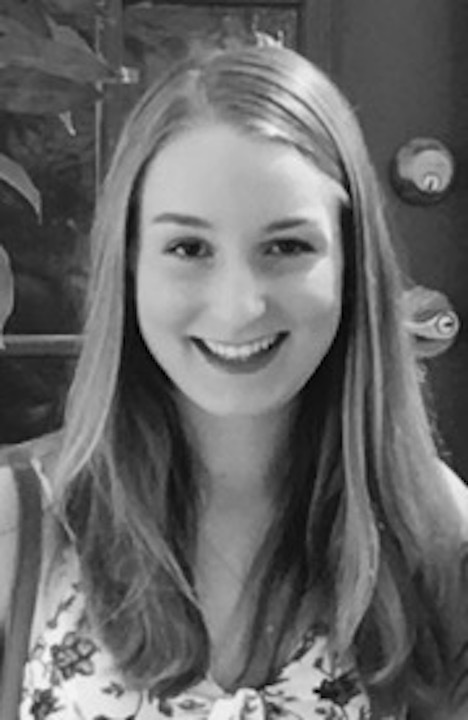 Editor’s Note: Lydia Straka joins NolaVie this summer as a contributor and assistant editor. By way of introduction, we asked her to tell us a little about where she’s been, and where she’s going. Like most college students, Lydia feels the twin pull of places both far away and familiar — and has a love/hate relationship with parental advice. Join her next week for Conversations With My Dad, the first in a series about the generational divide and how it relates to New Orleans issues both heavy and light. I’ve learned what it means to miss New Orleans. I couldn’t wait to leave for my freshman year at Washington University. Yet, on each drive to the airport to fly back to campus this year, I have felt a little nauseated, already homesick. Going through security and finding my flight’s gate on the way to New Orleans was never a big deal — I’m used to independence at school. But navigating the airport on trips leaving New Orleans has left me feeling like a child, painfully aware that I’m alone and leaving my city. Each time I arrive in St. Louis, I feel out of place. I miss the flat land, the sprawling marshes — I’ve traded those for the hills that I’m teased for talking about as if they are mountains. The most rugged terrain I’d lived in before involved our city’s infamous potholes, but the streets hardly move and crack when you’re hundreds of feet above sea level. These blemishes that I’ve grown up complaining about bring me comfort now, acting as a reminder, even in the nicest neighborhoods, of New Orleans’s nitty-gritty, unique realities. Around my college the sidewalks are smooth and even. When I return home I watch my step, looking for roots of ancient oaks peeking through the cement, as if to remind us that they’re here, too, and that they inhabit the same space we do. Driving down Carrollton Avenue the first time I returned from college, I felt swaddled by the canopy above and the roots below. There’s a certain energy here, a type of groundedness that I feel every time I come home. My college campus is often compared to Disney World, and these breaks back to my hometown are much-needed reality checks. People who grow up in New Orleans tend to stay in New Orleans. When I went off to college, I was determined to not be drawn back into the same life I had grown up in. I dreamed of eventually settling down on the West Coast, in the Northeast, the Midwest, anywhere but close to home. But now, after being gone, I can’t say I’m so sure. What makes me hesitate about leaving, and what makes people return to the city? Could it be family? I’m sure that’s a factor, but there’s certainly more to the trend. Familial bonds are strong all over the country, especially throughout the South — certainly not just in New Orleans. No, it’s something more than family that holds New Orleanians together. It’s nuanced, and though I can’t speak for everyone, I find comfort in each imperfection I encounter here. The irregularities in a pothole-wrecked street parallel the diversity of income, race, political views, and world philosophies you can find within a given 10-block radius. I can’t hide in a bubble here like I do at college, and those reminders keep me grounded. Since leaving home, disagreements and discussions with my dad have heightened. It seems that these clashes always boil down to an idea of his I can agree with: that there are layers of experience, and peeling these back requires leaving the comfort of your box. We have many boxes in New Orleans– some overlapping, some isolated. I left in the midst of heated disagreements about removing the Confederate monuments, proving just how politically split our city and the surrounding area is. I’ve had many an argument with my dad about the whole issue. I’m sure that I’m not the only one who feels these tensions between generations and walks of life. Perhaps that’s why more than family keeps us intact — discontinuity is such an innate part of life in New Orleans that familial differences are bearable. Frays, fringes, that’s what we appreciate. That energy holds the city together. Maybe inconsistency itself is what New Orleanians are drawn to. I don’t mean to discredit the power of being in a place where you feel unconditionally supported and understood — at this point in my life, it probably is what I search for and need the most. But having spent a year away from New Orleans, I now have a sense of what could one day call me back.